Merry Monday! And happy Civic Holiday, whatever that is! How are you spending the day? I worked this morning for 5 hours and it looks like I’m having a pretty chill night. Today I wanted to talk about something a little touchy, but that’s paleo eating. Being an anorexic with a strong passion for nutrition food is very common, but also tough. The key is balance, because recovery means incorporating all foods, for the rest of one’s life. Personally, I believe in, and feel best on, mostly paleo food. Paleo food, in other words, is real food. So, picture 100% ground beef (not necessarily lean, but without anything added to it); organic fruits and veggies; 100% rolled oats. I have a weak stomach, and have been eating mostly paleo foods for quite a long time. I cook with them, and do truly enjoy eating this way. The key is still eating what you want to eat. Whatever that may be. 1. 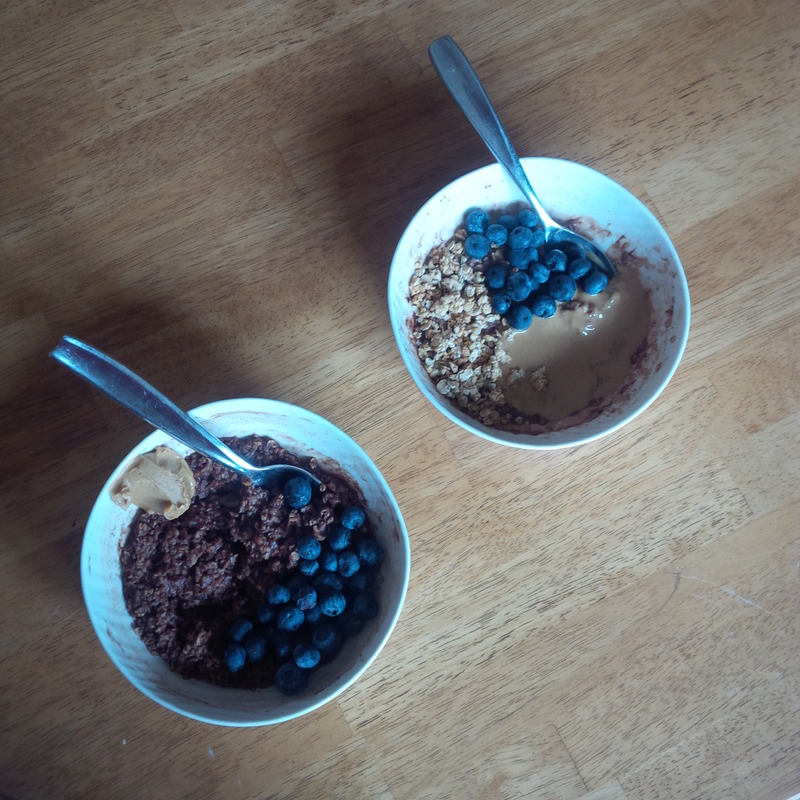 In a bowl, combine oats, cacao, and water. Stir well. Microwave for 2 minutes, stirring once halfway through. 2. Top with whatever you’d like; the toppings listed in the ingredients are my favourite! 1. Wash and prick sweet potato. Microwave for 4 minutes. 2. In a small skillet, saute sweet potato, cut into chunks, in the oil over medium heat. Add remaining ingredients and saute until all vegetables are tender. 1. In a small bowl, ground beef, egg, and onion. Shape mixture into a burger. 2. Cook on a grill or in a skillet with a small amount of oil. Wrap in lettuce and serve with toppings of choice. The thing about paleo eating is that cooking is incredibly easy! A lack of flavor is easy to make up for with spices, like fennel, dill, and cinnamon. Adding your own flare is easy, and makes you feel like a pro chef.